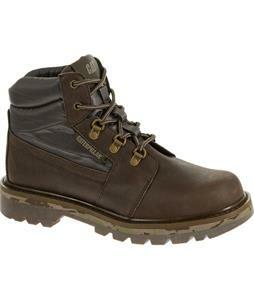 Caterpillar's rugged styling is inspired by the CAT heavy equipment line, and offers well-made boots and shoes suitable for work, hiking, gardening and a variety of other outdoor activities, as well as casual footwear with a sporty look and an “earthy” vibe. Choose from high-top conventional work boots, cross trainer-inspired hiking boots, sporty shoes for trekking or climbing, and more! CAT Footwear is also great for lounging and casual get-togethers, like backyard barbecues and afternoons at the lake or the park. Comfort, high performance and selection are provided by carefully-chosen materials and features, such as Climasphere, Nylex or Nylon mesh liners, full-grain leather or velvety Nubuck, and rubber outsoles. 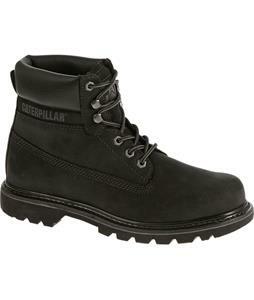 When it's time to get down to work, steel toes, Goodyear welt construction and slip-resistant designs handle demanding job conditions in the best Caterpillar tradition. CAT Footwear has been manufactured under exclusive license by Wolverine for twenty years, providing customers around the world with the assurance of quality and value that comes from knowing how to tackle what nature has to offer and how to look good doing it! 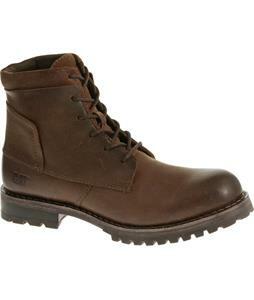 With the power of two great brands in one great shoe, Caterpillar can be owned and worn with style and confidence.